Remember those clear jellied sandals you wore as a child? You know, the ones that were a must have for every little girl circa 1993-96? Well, they re-emerged from the ‘90s grave! I thought out of all the trendy fads in the 90s, jellied shoes wouldn’t make a comeback this soon, and for adult women! I do however think some styles of it are cute. You’re for it or nah? Vote on it! 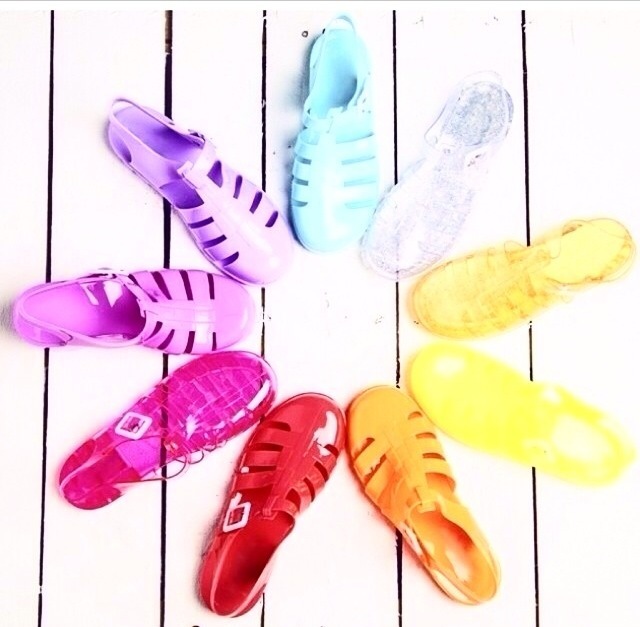 Jelly sandals are the trendy shoes this summer.